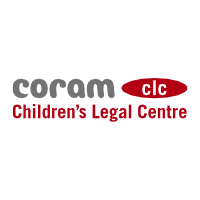 Part of the Coram group of charities, Coram Children’s Legal Centre (CCLC) is an independent charity working in the United Kingdom and around the world to protect and promote the rights of children. We aim to uphold children’s human rights in law, policy and practice within the context of the United Nations Convention on the Rights of the Child and the European Convention on Human Rights. We work to ensure that children’s interests are represented at every level of administrative and legal processes and in the production of policy and legislation. Our goal is to improve access to justice for children through the provision of direct legal services, the publication of free legal information and guidance, training, policy work, research, and international consultancy on child rights. Founded in 1981, CCLC has over 30 years’ experience in providing legal services to children and their parents and carers throughout the UK. CCLC’s Legal Practice Unit specialises in child and family law, community care law, education law, and immigration, asylum and nationality law. We hold Legal Aid Agency contracts in all of these areas of law. CCLC operates the Child Law Advice Service, funded by the Department for Education. The Migrant Children’s Project (MCP) works to protect and promote the rights of children in the UK who are affected by immigration control, including asylum-seeking, refugee, migrant and trafficked children. The MCP operates an advice line, conducts outreach advice work and seeks to secure positive change in policy, legislation, case law and practice through its policy work, including with the Refugee Children’s Consortium, which we co-chair.